Krogers Community Rewards Program is a very easy way to donate money to LCMS. Krogers customers can sign up for Krogers Community Rewards program, and every time you swipe your Kroger's reward card LCMS will receive a donation. This is an easy way to donate to the school. The link to enroll is provided below. The counselors at LCM will provide each student with information and services vital to academic, career and interpersonal decision-making. 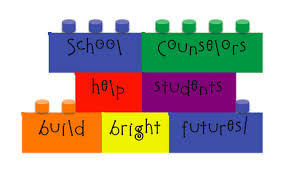 Through brief counseling, consultation, and coordination the school counselor serves to support and advocate for all students at LCM.